My curious adventures in the world of vintage. Every piece I pick up has a history that speaks to me. 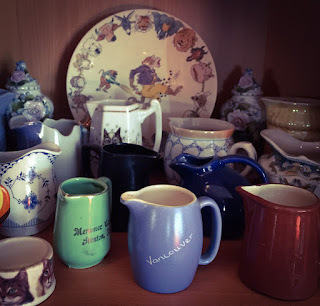 Join me as I wander through the world of vintage artifacts and find out how they got that way. I'm a professional artist with a working studio.I love vintage wonderfulness and along with 45 other folks have a space at Finders Keepers Antique Mall in Olympia, WA. What is too lovely to repurpose re-enters the world for another life.